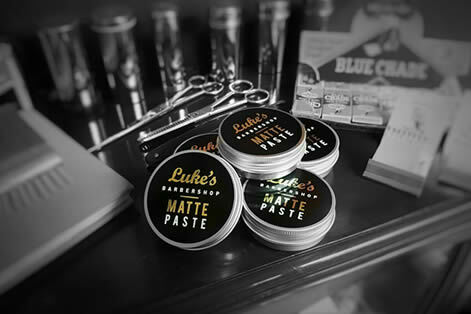 Luke's barbershop brings a no-nonsense excellence to men's grooming. 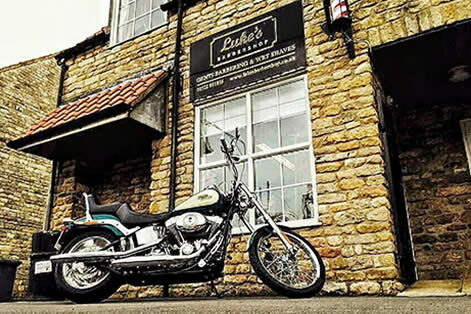 The business has been established to give the modern and traditional man a place to feel comfortable, with "good old fashioned barbering" and wet shaves with hot towels, without the need of an appointment or the fuss that goes with modern gentleman's hairdressing.The purpose of Luke's Barbershop is to offer quality service in the surroundings many men are used to, and also with very traditional surroundings from the 1930's when barbering shops were at their pinnacle for men's grooming. For too long barbers have been disappearing being replaced with salons catering primarily to women. 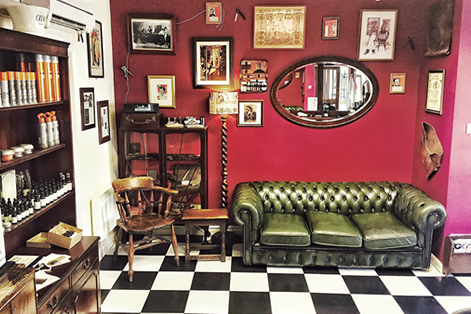 Plush leather barbershop seats sit in front of gleaming mirrors and the various shaving paraphernalia and ephemera make for a quirky, yet smart look. So if you're looking for a barber in Lincoln then check us out. 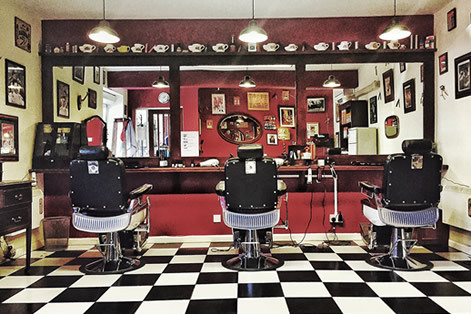 Decades ago, shaving was one of the biggest services in the barbershop. 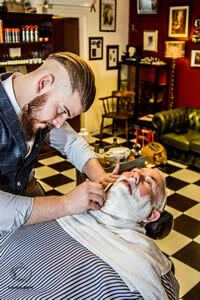 In fact, gents would frequent the shop most days for a shave and would insist in having their own brush and mug. One of the main reasons for this was the shave was cheap and quite a relaxing process, as a face massage was always included. However at home it was difficult to maintain and use a fixed blade razor (cut throat). It was also time consuming and an uncomfortable shave because gents had very little experience of looking after the blade. Shaving was a very lucrative business for the barber until the early 1900's when the safety razor was introduced. The art of shaving then hit it's demise and was at the point of extinction until now. 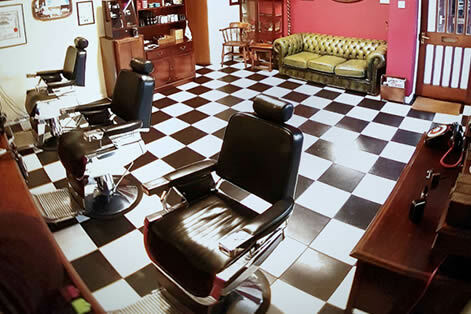 With the barbershop becoming fashionable once more, modern barbers are looking not just to cut hair well but to start taking care of their male clientele better. 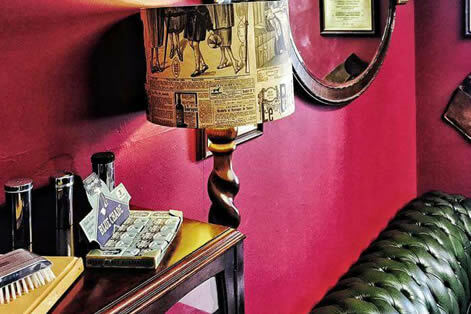 The wet shaves are very much for the modern man, they are done in such as way that the client does not feel too fussed over but gets an extremely pleasant service.The Luxury Wet Shave consists of a total of 5 hot towels, moisturisers, oils, creams, 2 shaves and a freezing cold towel, leaving the face extremely smooth and soft, all in 40 minutes. 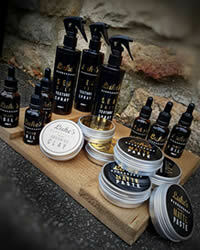 The Wet shaves are already proving popular, with many ladies treating their partners to a luxury wet shave experience. No wet shaves on Saturday, due to high haircut demand. 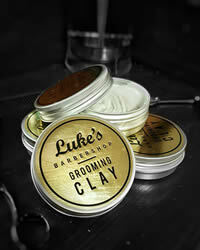 We now stock our very own range of grooming products, everything from Clay to Spray! Copyright © 2013. All rights reserved. Luke's Barbershop.